The Rocky Mountain Wine & Food Festival Calgary is back for two days of indulgence on October 17 and 18, offering a little something for everyone. The Festival offers the opportunity to sample an extensive variety of world-class wine, scotch, premium spirits, import and micro-brewed beer along with gourmet culinary creations from local restaurants, hotels and food purveyors. Want to attend the Rocky Mountain Wine & Food Festival? I’m giving away tickets. 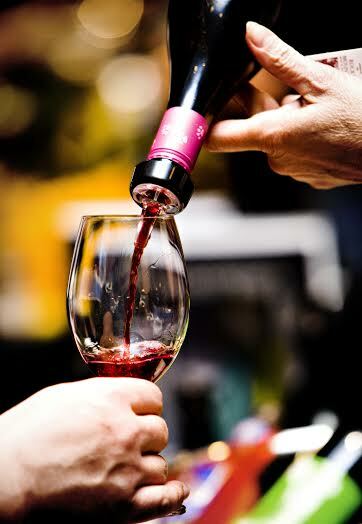 Win two tickets for the Saturday, October 18th afternoon tasting session which runs from 12 – 4 p.m. at the Stampede Park BMO Centre, Halls D & E, by commenting on this blog post telling me a fact about wine. One winner will be chosen at random on October 14th. These are just admission tickets, so you’ll have to purchase sampling coupons separately. Fun Fact, Mandy’s favourite wine is Clairette de Die!